As a homeowner, one of the biggest projects you will ever undertake is a roof replacement. This isn’t something that needs to be done very frequently but there are times when the roof needs to be replaced immediately. The roof is the most vulnerable when it rains or snows. Leaks and cracks can make the roof weak, and a disaster can happen under the weight of snow or rain. Not only should you check the condition of your roof before every winter, but also take care of leaks and cracks. Because the roof is always exposed to the elements, a small crack can snowball into a mishap and endanger those living in the house. A roofing job may sound complicated, but it’s actually all in a day’s work for roofing pros. If you’ve never had a roof replaced in the past, there may be several questions swirling in your mind: How long will it take? How much does it cost? Can I live in the house during the job? As a first-timer there are certain things that you should know in order to make the process as smooth as possible. 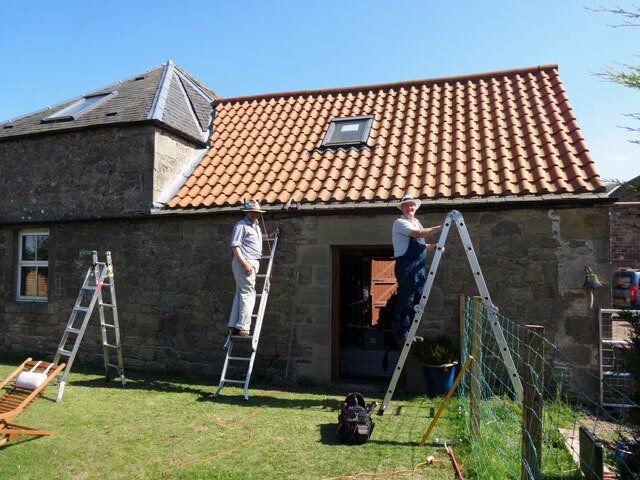 Yes, it will be an inconvenience, but it doesn’t take much long, particularly if the roofers are experienced and quick at the job- looks like what Proven Contracting can do. Leaks and cracks and other signs of aging: Many homeowners often choose to ignore these little signs that the roof is reaching the end of its life span. There are many quick fixes for a leak or a crack in the roof but these only make the roof even weaker and pave the way for bigger damage. Therefore when you detect a leak or a crack in the roof, its best to call in roofing experts and find out if the entire roof or part of it needs replacement. Severe storm damage: if you live in a region that gets severe storms, you have to be prepared for roof damage any time of the year. Storm damage can involve your roof collapsing, a tree falling over the roof and damaging it, and hails leaving cracks and holes in the shingles. Because the roof protects the house from the elements, storm damage should not be underestimated. After a storm, you should get your roof inspected to find out if the damage is minor or has weakened the very structure of the roof. Remodeling to increase home value: Homeowners choose to replace or upgrade their roof before selling their house to increase the home value. Since roofing is a vital part of the house, a roof upgrade can significantly increase the price of a house that’s going on sale. This can either be done a few months before the house goes on sale or a few years in advance. Before you begin a roof replacement project in New Jersey, you should obtain the complete picture about the process from the contractor. This is particularly necessary if it’s your first time getting a roof replaced or any time really. The roofing contractor will not only be able to provide you a detailed explanation of the process but also help make the process as smooth as possible. A reputable contractor will require a safe environment to accomplish the job without endangering the occupants or the property. Before the work begins your roofing contractor will inspect the site, get permits if required, have all the materials delivered to the place, and also bring a generator for power supply. Please note that from 2018 roofing contractors in New Jersey will not require permits any longer to be able to perform roof repairs or replacements. This not only makes the job easier for the contractor but also hassle-free for the home owners. A word of warning: every roofing project is messy and noisy. There will be debris and dust all over, and although the crew will do their best to clean up every day, you should expect the site to be a mess while the project is in progress. There may also be delays caused by the weather, because this is an outdoor job. In short, a roofing job in New Jersey is not without inconveniences. So can you live in the house while the work is going on? You definitely can, if you aren’t bothered by the noise and the mess. But a better idea is to move to somewhere close by when work is underway, especially if you have pets and children. The noise can also cause anxiety in animals and cause them to panic. If you’re going to be uncomfortable with the mess and the noise, or if pets and children can make it hard for the contractors to do their job safely, you should consider moving for a few days. However, even if you leave your house, always be available on phone and also be present at the site to check if the work is going as planned. Every roofing project is different, and if there are no weather-related delays, Proven Contracting New Jersey takes one or two days on average. However, if the project involves more than one job, such as roofing as well as siding, or roofing as well as gutters, there may be a lot of delays. Your roofing contractor is the best person to talk to regarding the time taken to complete a roofing project because every project is different and several factors go into the time taken. Proven Contracting NJ severs the entire region of Northern New Jersey, with offices in Livingston, Long Valley, Randolph and Bridgewater. Whether you are looking for a contractor for a repair or a complete replacement, get in touch with Proven Contracting NJ to learn more about the services that are on the menu. Tags :Can I Live in The House While the Roof is Replaced?